57% of B2B buyers have already made their purchase decision before ever speaking to a sales person (CEB Global). Ask any modern marketer one of the keys to generating consistent leads, and one thing they’ll say – if not the first – is automate your content marketing. Automated content marketing makes it easy for you to send compelling messages at a thoughtful and coordinated cadence. Scoring your buyers engagement with the content allows you to understand your audience and where they are in the buyers’ journey. This process is the most effective way to generate and develop leads without breaking the bank. It also produces superior results because content marketing costs 62% less than traditional marketing and generates about 3-times as many leads (DemandMetric). Furthermore, B2B marketers say the number one benefit of marketing automation is the ability to generate more and better leads (Pepper Global). Add analytics to your content marketing automation efforts, and you have a good recipe for generating quality leads consistently – 42% of B2B marketing professionals state that a lack of quality data is their biggest barrier to lead generation (BrightTALK, 2015). Addressing these FAQs that occur over and over again in your sales process can be automated with educational content that discusses industry trends, common pains, different ways to approach various solutions to industry issues, etc. This simple and substantive information that you can share as a thought leader gives buyers the information they need as they move through their buyers’ journey. Not only does it build trust with the buyer, it offers them insight to make an informed decision about solution options. Because in reality most buyers look at sells reps as a necessary evil. Only 29% of people want to talk to a salesperson to learn more about a product, while 62% prefer to consult a digital content (HubSpot, 2016). With the multiple moving parts involved in the modern sales and marketing machine, both departments must work together to generate leads, educate them, and move them towards a purchase decision. Marketo finds that companies with an aligned sales and marketing strategy are 67% better at closing deals. Having an aligned sales and marketing process that works well for generating leads is critical to any firm’s growth. With alignment, both entities understand the target audience, the sales cycle, the appropriate content to send through the proper channels at the right time. The coordination of sales and marketing bridges the communication gaps that otherwise stifle messaging consistency and lead qualification collaboration. By bringing marketing and sales together and making us more effective as a team, we can build a stronger program to meet advisor needs and achieve business results.” – Mary Rosai, Senior Vice President of Institutional Services Marketing, Charles Schwab (Marketo). In this day and age, B2B buyers are squeezed for time, so they’re interested in useful, and simple to consume educational content that is easy to access and digest. Case studies, white papers and educational blogs helps buyers compare their efforts, challenges and pains with their peers and/or justify their investment. 9 out of 10 B2B buyers say online content has a moderate to major effect on their purchasing decisions (Lenati). The most tangible way to link your business to B2B buyers needs is to show how you solve problems better than your competition. Marketing automation allows you to share your educational and thought leadership content along the buyers’ journey to develop trust and stay top of mind with consumers that are not quite ready to buy. Automation tools allow you to score leads according to the value of the content their engaging with, allowing your sales and marketing team to predict their readiness to buy based on the content they consumed. In a recent survey of companies leveraging marketing automation with quality educational content on a a regular basis 80% of users saw their number of converted leads increase, with 77% seeing the number of sales conversions from those leads increase (VB Insight). B2B lead generation is one of the top sales challenges facing many SMBs that want to grow their sales revenue. Generating a consistent flow of quality leads is critical to be competitive in the market. Telling simple stories in a systematic way and executing content marketing campaigns using modern sales and marketing operations is crtical to any business that wants to consistently grow their sales funnel in todays buyer driven market. Implementing the right strategy, lead generation techniques, and technologies to allow your sales team to focus on selling to qualified leads, while your marketers focus on sustained and consistent lead generation efforts will improve your sales results and help you meet your revenue targets. In 2016 according to Forrester we witnessed the near universal embrace of content marketing with 93% of B2B “marketers” claiming that they have at least tested content marketing in some part of their sales and marketing efforts. And some of these executives may be correct. This article is meant to help them evaluate if they are right or they consider giving lead scoring with and outsourced sales team a shot. While 99% of the both the B2B and B2C Fortune 2000 is fully committed to content marketing, lead scoring, and automation systems, small and mid-sized business remain skeptical. Do I spend money on leads monthly and then abandon after I get a fresh set of lead? Is your business spending money on fresh leads every month? Does your sales team attempt these leads a handful of times and then wait for the fresh leads and stop following up with last month’s leads? If you are in a business where deals typically close in 30 days or less from initial interest you may want to continue doing what you are doing. If first touch to close is 30 days or more lead scoring may have significant benefits. Do I have the minimum sized database and content to get started? Because 70% of buyers now prefer to learn about new products and solutions by email (sharing educational content) most companies have at least tested content marketing. In fact, 90% of B2B companies now started content marketing in at least a small way. But content is not enough. At a minimum you also need a database of at least 3,000 to 5,000 buyers to get started. You also need to create enough basic educational content to touch these buyers at least 2 times per month for B2B sales and slightly more for B2B sales. If you do not have enough leads you will need to invest in a leads database first. The same goes for content. Content can be as simple as blog posts and short videos. Gabriel Sales offers cost effective packages to help with both. Is my sales team or outsourced sales team educating buyers that don’t buy? Is my market so large that I can target and sell to hundreds of thousands of buyers? Have I generated so many inbound leads that my sales team cannot keep up? Is my product so disruptive that everyone would be willing to take a call on the topic? If you have a broad market with tire kickers you should have been scoring leads 5 years ago. Is my product/solution not an “If” but “When” decision? Professional Services and software in areas like accounting, compliance, HR, IT, BPO and marketing, printing are not “If” but “When” decisions. Timing is everything. Staying top of mind with buyers so when they are ready to buy is critical so your sales team calls when the window is open. Automation and lead scoring make this possible. Does my sales team complain about the quality of leads I send them? Do your sales reps always complain about bad leads? Lead scoring will solve this problem but not on its own. Before launching your lead scoring engine you need to have both sales and marketing agree on what a scored lead is with concrete criteria. Once you agree to these criteria lead scoring will work. It is also a way for you to objectively and subjectively evaluate if you have a sales issue as opposed to a lead quality issue. When Gabriel Sales outsourced sales team set appointments scored leads can help your internal sales team embrace rather than reject leads. Are my sales engineers and senior sales team educating buyers that don’t buy? Do you have a great deal of leads that hit the early stage funnel that go through an introductory meeting and/or product demo that never transact? Chances are you have one of two problems. First, your business development reps are not qualifying correctly. Or tire kickers are going straight to senior staff because you don’t have the content necessary to do this initial early stage buyer education. Lead scoring and some basic content that demonstrates your solution can save you tremendous time, money and resources. If a buyer is not interested enough to educate themselves online prior to meeting with your senior resources the prospect is probably not worth their time sell to the buyers yet. Is there more than one buyer involved in purchasing my solution? If your sale requires a champion on the buyer side then that champion will need content to educate themselves about your solution so they can move that deal forward. They will also need to share that content with other people on the buying committee. If there are multiple buyers involved in the buying decision they will engage with content more frequently and have a larger digital footprint. Do you have more than one buyer? Do you have a pricing page, case studies, product pages, demos or demo registrations online? If these pages are not part of your website or content marketing strategy you should probably consider them. If a buyer hits any of these pages they are strong predictive indicators that your buyer is ready for sales engagement. Notifying your reps or outsourced sale reps when buyers hit these pages can put your team at the front of the line. As a B2B Outsourced Sales and Outsourced Marketing company, we understand that ROI is important. Both of these packages include a free preliminary assessment to see if lead scoring and outsourced sales is the right solution for your business. To learn more about our approach you can also visit the About Us page. As an inside sales outsourcing company that builds automation engines we understand there is a great deal of confusion about what lead scoring is and why it matters today. This article will address both of these topics. Lead Scoring is an objective ranking of one sales lead against another. Leads are ranked to prioritize what buyer targets are most likely to buy to determine where sales should focus their efforts first. Until recently most companies did this at the front end of the sales cycle by identifying what decision makers had budget authority and what verticals and industries had the greatest need. A company would then buy this list, hand the list to sales and cold call. But with the rise of automation software and content marketing, you can now engage a buyer with your online content and measure and analyze a buyer’s digital footprint. You can use this analysis to predict a buyer’s level of interest and where they are in their buying cycle. Combined with targeting the right buyers, you can now prioritize leads based on a buyer’s propensity to buy. As an inside sales outsourcing company prioritized leads are critical for successful delivery for our clients. Why Does Lead Scoring Matter Today for Sales Outsourcing? Five years ago every time a sales rep picked up the phone and called a prospect the prospect would pick up the phone 1:4 times or 1:5 times. So five years ago, making 100 calls a day you could expect to speak with 20 to 25 prospective buyers. If you typically converted 10% of your connections to next steps and you could you could move 1-3 deals forward per 100 calls. Today with a call to connect ratio. 1:10 to 1:20 you can expect a buyer to pick up the phone as little as 5 to 10 times per day if you are making 100 calls. So you can only expect to speak with 10 buyers a day. If you are not scoring leads and calling buyers cold you can still expect that 10% will convert. This means your success rate per 100 will be 0.5 to 1 deal moving forward per day at best. If you are scoring leads and call interested buyers you can expect 30% will move forward. This takes you back to the same conversion ratios we experienced when connection ratios were 1:4 to 1:5 five years ago. Lead Scoring does not solve the challenge of buyers not picking up the phone. Lead Scoring improves the results of the connections when they do occur. Calling leads that are not interested in your solution is now counter-productive to your inside sales outsourcing efforts, causes enormous inefficiencies, and now dramatically impacts your cost of sales. Your sales reps work furiously to stay afloat while at the same time becoming less efficient in their daily tasks. If you are not talking to interested buyers you are running to stand still. The buying process for most solutions now starts with an initial phone call to share information, an inbound lead, or an outbound email campaign. Buyers then typically want you to educate them digitally before they will engage with a sales rep. In fact, according to Marketing Sherpa’s 2016 report, 70% of buyers want to learn about new products and solutions with an email that contains an educational article that they can share with others involved in the buying process. The buyer is then open to a meeting but expects you to continue to share additional content they can share with other decision makers and influencers. 90% of buying decisions now require at least two buyers or a committee. Success now requires content that helps your buyers learn about your solution digitally. In most cases, this replaces sitting through intro pitches by business development reps. This is a great time savings for your business, but this also means you lose the insights that were gained by the sales rep during this early sales activity. Lead scoring allows you to capture information from that digital conversation by measuring what content the buyer is engaging with. This buying behavior can be reported to your sales team. This data from Sirius Media demonstrates how lead scoring can impact your success rate at multiple stages of the funnel. The key metrics are how many connections you need to convert a cold lead vs. a warm lead and then a warm lead to a qualified opportunity. Better connections at the right time means more conversions with less calls at every sales stage. And while you are connecting with targets that are not interested (if you are still calling cold leads), you are also missing dozens of hot leads and real opportunities—because you have not tracked their digital engagement and moved them to the top of your calling list. Ultimately, your inside sales outsourcing team are at least 4X less efficient. With fewer deals available, your sales reps need every advantage to get in front of active opportunities and connect with them before the competition. To do that, they need to be working with prioritized leads. Especially since today, buyers start gathering information long before they have established things like budget and timeline. According to Sandler Sales Trainers the first mover still has a 60% advantage if they are the first seller in front of the buyer. And this “Digital Body Language” reveals a great deal of honest information about a lead’s level of interest in your company and where they are in their buying cycle. It often serves as a more powerful and honest indicator than data collected over the phone or on a web form website. In addition, having this information ensures you will be engaged at the front of the buying cycle and not a late entry. Gabriel Sales builds sales automation engines for B2B companies and helps support our marketing efforts by also supplying insides sales outsourcing teams that combined both marketers and reps following up with highly scored leads. If you would like to learn about our approach visit our About Us Page or feel free to Contact Us to learn more about how we can help with your insides sales outsourcing and outsourced marketing needs. The “scorecard” that your video is rated on is the number of views. Unfortunately, doing an analysis on just “views” is not always the best way to track your brand’s progress on the goals you are trying to achieve. This is especially true if your goal to drive real sales opportunities’ into your closers pipe (which is our top priority as an outsourced sales and marketing company). Question #1: How Do I Identify My Primary Outsourced Sales Video Goals? Marketers typically want video advertising campaigns to increase awareness about their product and influence online sales. While buyers no longer have a simple experience with your brand anymore thanks to product reviews, mobile engagements, social media, etc.—most marketers and salespeople agree their target audience fits into one of three categories: unfamiliar, on the fence, or ready to buy. With each new campaign, it’s important to know where your audience lies in these three areas. Which of the three possible brand goals is your #1 priority? Question #2: What are the KPIs for that marketing goal? The next stage after identifying your goal is to take a closer look at the data that is being mined for each video. Question #3: Where and How do I properly analyze my data for my videos? Now that you have identified your primary goals and your KPIs for those goals, you now need to identify the tools that you going to use to help you become more data-driven as a marketer. Depending on the platform, analytics usually comes with these video platforms, and spearheading the Big Data field with its extensive metrics and capture points is Google’s YouTube. Vimeo and Wistia have great metrics platforms to run reports on analysis, and even heat mapping for what part of the video the viewer engagement was highest. Google Analytics will help you measure clicks and conversions for sales KPIs. You can also use other platforms proprietary to the video service to measure clicks and engagement if they are not being seeded with an Adwords campaign. But nothing is more valuable than correlating videos viewed to what is occurring in your opportunity pipeline. Question #4: Now that I have done the marketing analysis, how to I correlate videos to sales analysis – deals hitting the pipe? 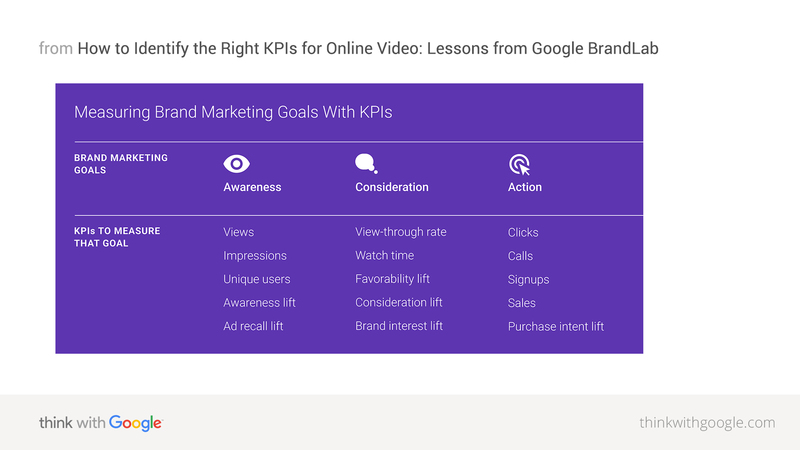 Now that you have identified the KPIs for your video campaigns and where and how to measure them, the next step in this exercise is to identify what impact is video having on my sales pipeline. This is where automation software like Pardot that integrates into a video platform like Wistia is critical (and one of the reasons we love a company that specializes in outsourced sales and marketing). Identify what videos are predictive of buying that need to have their score increased in your lead scoring engine. Gabriel Sales specializes in aligning our outsourced sales and marketing efforts around driving more sales qualified opportunities’ into our client’s sales funnels. We can help with refining your existing programs with content production workshops, we can launch a full blown engine for companies just getting started or we can run a turnkey pilot lead scoring and sales automation starter campaign to help you decide if lead scoring is right for you. To learn more about our philosophy, what we believe and who we can help we recommend checking out our About Us page. As a sales outsourcing company, that specializes in building sales automation engines, we work remotely from our clients. One key ingredient of our sales engines is the ability to use content to prove to buyers that the product we are selling solves a problem for them. And over the past several years we have discovered that nothing is more valuable than video. And when creating videos, regardless if it is our team, or their team creating the content, we have one major rule. People buy products and services because they want to solve a problem. That’s it. We have found over the past several years of video production and distribution that videos that perform the best supporting our client’s sales outsourcing reps, our lead scoring, and our content marketing are the ones that offer solutions to a problem. 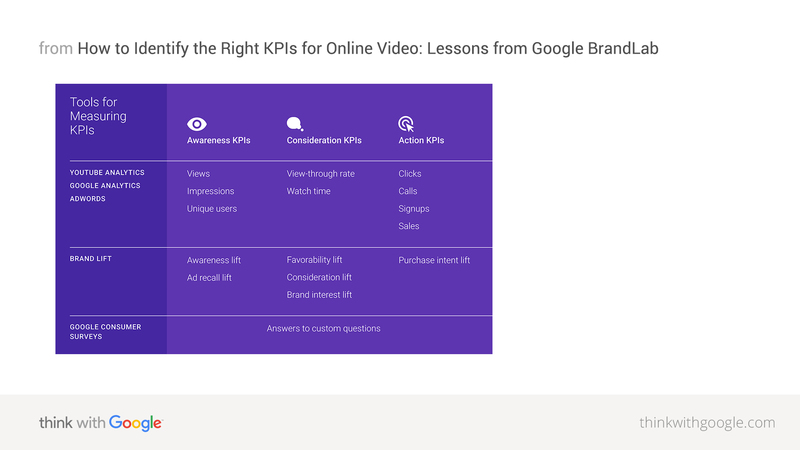 This is especially helpful for lead scoring because if a buyer has watched the video you know they may have this pain. Company X could make a short video that shows a marketing team launching an email campaign, and sales people are getting emails to follow up with leads. Create video content with happy clients or customers (remember, they don’t have to be long to be compelling 1-2 minutes) offering short testimonials. Create a weekly webisode series that shows your company’s spokesperson running into daily life issues that are solved with your product or service. This could be the office “talent”, so someone that is camera-ready is preferable. This leads in to my next point…. Let’s face it, there are moments in your daily experiences that people like to see. These are the most interesting and compelling content that you can capture, and the challenge is knowing how to identify it. Which we will get into later. With attention spans plummeting, now is the time to begin developing a short-form content strategy that blends with your overall content strategy. This is very applicable to your micro-branded products or services. At Company X, for example, John has started a new 3-minute video webisode series where he talks about everything marketing and sales. The great thing about Joe is that he is able to record each video on his iPhone, and no one expects anything more from the production value because it’s more about the thought leadership he provides. If you can identify all of the moments that might need explaining, and make a short video about each, you’ll be able to create a video strategy that is built specifically for that pain point. Remember, people have different problems they need solved. It is your job as the marketer to identify those problems with your sales team. They will love you for addressing their questions and/or problems quickly and succinctly, without having to sift through pages of blog content. Remember the things to keep at the top of your mind to create the compelling video for your product or service is pain points. At Gabriel Sales, we have created a video production workshop that will help you create compelling content that will help amplify your sales tactics, support out sales outsourcing reps to share and to create a video library for your potential customers and clients that they will love. To learn more about how Gabriel Sales can help you to tell your sales story powerfully to as many buyers as possible using our sales outsourcing and sales automation services please visit our strategy and sales outsourcing services page. To decide if our team is the right one for you please visit our About Us page.